I received the Canon 5D Mark II yesterday and have had a chance to get to know this latest full-sensor DSLR in Canon's lineup. By now, most folks know about the big changes with the body. 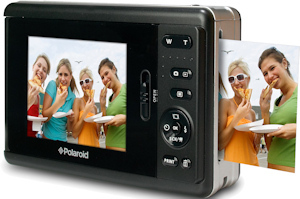 The 21-megapixel resolution and HD movie recording are the headliners. But there are some other more subtle improvements that I really like. I've wondered for years why Canon cameras didn't do a better job of reporting on the remaining battery charge. My far less expensive Sony compact told me more about the battery than my expensive DSLR body. But no more! The 5D Mark II now sports a Battery Info screen that shows me remaining capacity in perecent, shutter count, and recharge performance. It also lists the actual battery model number and where it's located (grip or internal). It's terrific! Previously, we only had two options for Auto Rotate. Either you turned it off so you could utilize the entire LCD for verticals, but then had to rotate the images yourself on the computer. Or you could turn it on for rotating on the computer, but then had to look at verticals using the short side of the LCD. Well, now there's a third option that lets you turn on rotation for the computer only. That way I can see verticals long ways on my camera LCD but have them correctly orientated on the computer. I'm very thankful for this improvement. We've been able to set Kelvin color temperature for some time, but it was always a shot in the dark. Now, thanks to Live View, I can activate my White Balance menu, go to Kelvin, rotate the dial, and get visual feedback on each temperature setting. When it looks right, I stop. This is faster than using Custom White Balance, and a big improvement for working quickly in the field. When you're in Live View mode, you press the AF-ON button to focus the camera. If you set the AF mode in the menu to Live Mode, then you have the option to increase the magnification of the focus area to 5X or 10X by pressing the magnifying glass icon when focus is activated. This will help you nail a particular element in your composition. When you're ready to return to normal view, just press the magnifying button again. Another great feature thanks to Live View is Silent Shooting mode. You'll find the option in the Live View set up menu. By using Mode 1 and turning off the "beep" confirmation, you can capture images at a fraction of the noise level that we traditionally endure with DSLR bodies. This is perfect for certain occasions such as wedding vows. 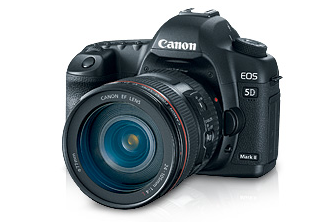 I'll continue to pass along tips that I learn using the Canon 5D Mark II in future posts. Happy New Year! Follow me on Twitter. I'll be posting live from Macworld Expo everyday next week. I have a busy speaking schedule at Macworld Expo 2009. Here's a brief overview of the week in San Francisco. This two-day Power Tools workshop will introduce you to all of Aperture's major functions, making post production as enjoyable as capturing the images in the first place. You can read the complete course outline on the Power Tools page. Monday, January 5, 2009, 11:00 AM - 6:00 PM; Tuesday, January 6, 2009, 11:30 AM - 6:30 PM. Room 301, South Hall. Register online here. The Power Tools workshops have an additional fee. With each new release, Adobe has added a handful of photographer-friendly tools to Photoshop - little gems that you might not be aware of yet. But, when incorporated into your workflow, these tools can make a world of difference. You can read the complete outline on the Users Conference page. Wednesday, January 7, 2009, 1:00 PM - 2:15 PM. Room 2010, West Hall. Register online here. This is part of the Users Conference. A group of America's leading photographers will share tips, tricks and hacks to help you make the most of your digital cameras they'll show before and after examples of software tools to make your photos sing, and they'll answer questions about how to be a better photographer. Session led by Rick Smolan. You can read the complete outline on the Users Conference page. Wednesday, January 7, 2009, 3:00 PM - 4:15 PM. Room 2002, West Hall. Register online here. This is part of the Users Conference. In this hands on lab, see how you can build an amazing workflow with Bridge, Adobe Camera Raw, and Photoshop. You'll learn the inside tricks that will enable you to make your images look great without having to learn complicated techniques. You can read the complete outline on the MacLabs page. Thursday, January 8, 2009; 4:00 PM - 6:00 PM. Room 111, North Hall. Register online here. This is part of the MacLabs program. Curious about digital photography? Want some post-production tricks? Wondering what camera is right for you? Join expert photographers and O'Reilly authors Derrick Story, Mikkel Aaland, and Deke McClelland for an inside perspective on the world of digital photography and learn to get the most out of your digital images. Apple Store, San Francisco (One Stockton Street San Francisco, CA 94108 415-392-0202). 7:30 PM - 9:00 PM. Free. I'll be spending as much time as possible in the O'Reilly Media booth on the Expo Hall floor. I have two formal talks there, Photoshop Made Easy on Thursday Jan. 8 and Friday Jan. 9 at 1 PM. I'll hang around afterward to chat and sign books too. So be sure to stop by and say hello. This is a freebie! Digital picture frames were quite popular this holiday season. And for good reason. They are an easy and enjoyable way to show off your best shots. But if most digital picture frames are the size equivalent to snapshots, then imagine your images displayed in all of their glory on an HDTV? As prices continue to fall for large screen high definition LCDs, photographers are discovering that they can be used for more than watching Sunday sports. With screen dimensions ranging from 19 inches all the way up to a whopping 60 inches, they are the digital equivalent to large format prints. Many HDTVs have a slideshow function built in. All you have to do is load your images on USB flash drive, plug it in to the USB port on your TV, and off you go. Also, devices such as the Apple TV have photo display software that will tap image folders on a networked computer or via your iPhoto or Aperture libraries. For best results, make sure you crop your images to 16:9 dimensions. In this case, displaying on the TV is very much like making a print. You want to make sure the proportions of your images match the output size. If you have access to an HDTV, take a look at its photo display options. It's a great way to impress viewers with your photographic prowess. If you have an HP printer connected to a WiFi network that can produce 4x6 snapshots, then you might be interested in their mobile app, HP iPrint Photo. It's available in the iTunes App Store and works on the iPhone and iPod touch. You can now print the images on your iPhone directly to any compatible HP printer on a wireless network. That's fairly cool. I've downloaded it and am going to give a spin today. Even as good as today's digital cameras are, they can't reproduce the extended range of darks and lights that our eyes can see -- at least not in one exposure. But by combining many different exposures, we can approximate our vision with a technique called High Dynamic Range photography (HDR). My experience with HDR hasn't always been predictable. Sometimes the final product looks terrific, and other times it just turns our weird. But I found an excellent tutorial by David Nightingale on the PhotographyBLOG that does a great job of explaining the theory and practice of HDR. I'm going to try a few of these tips and see if I can increase my success rate. Whether it's a shot of worn-out shoes from the campaign trail, or the micro-second victory by Phelps at the Summer Games, Time's Pictures of the Year for 2008 show us the highs and lows of a tumultuous 12 months. If you have a few minutes, take a look at these 48 images. There's a lot of history here, and good photography too. "I've got a quick tip for you. I am reading your book, The Photoshop CS4 Companion for Photographers, and do not see this one mentioned." 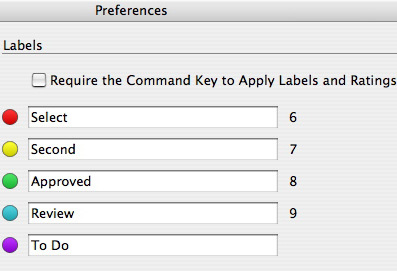 "To make rating photos quicker when photo editing in Bridge, go to Preferences, find Labels, and uncheck the box to "require the Control Key (or CMD key on Mac) to Apply Labels and Ratings". This way you can just type a number (0-5) on the numeric keypad for the rating. (A '2' equals 2 stars, etc.) And you can change the rating easily by just typing another number 0-5." "Thanks for all the good information you provide via the podcast, the website, and your books. I have copies of Digital Photography Hacks and The Digital Photography Companion. I suggested my public library buy a copy of The Photoshop CS4 Companion for Photographers, which I am now learning from." Thank you for the great tip Jane! I've already changed my Preferences for both CS3 and CS4. "Lightroom 2.2 adds raw support for seven new camera models including the Canon EOS 5D Mark II and Canon PowerShot G10. The update also includes several refinements such as enhanced performance of the local adjustment tools. 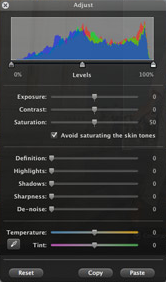 In addition, Adobe's Camera Profiles are now available natively within Lightroom 2.2 and are provided automatically as part of this release. As the visual starting point for the raw processing workflow, camera profiles provide flexibility that allows photographers to quickly achieve their desired rendering." This looks like a great update. I'll probably download it today and give it a spin. As you know, I've been testing the about-to-be-released Olympus E-30 DSLR. The good folks over at Imaging-Resource.com have released a terrific gallery of sample photos from the E-30 that include test targets, outdoor shots, and studio-lit settings, all at different ISO and other settings. It will help you get your head around how this camera performs. I'll continue to focus on the special features.